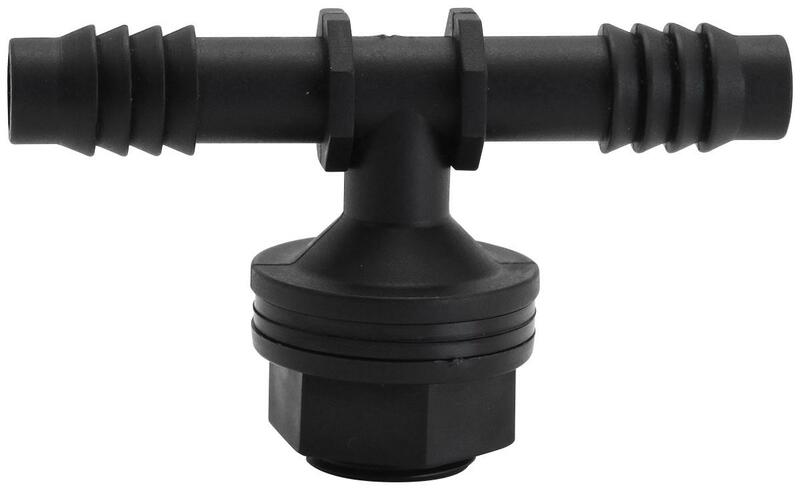 First of their kind Tub Outlet Tee fittings. Constructed of high quality impact resistant plastic. These fittings use tapered ends to help guide the hose onto the four barb securing points. It also includes two corrosion resistant gaskets. This material stands up to the most abrasive chemicals and provides an exceptional seal. 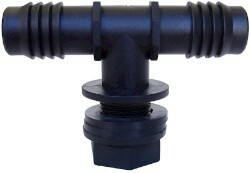 The fitting is secured by a custom designed nut, that mounts from the inside of the container, making for a clean finished look. Choose from 1/2, 3/4 or 1 inch in size. 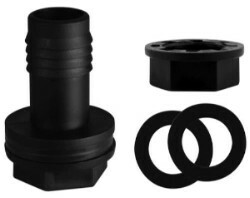 Tired of leaking grommets? 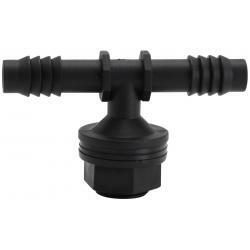 Hydro Flow® Tub Outlet Tee Fitting is your solution.